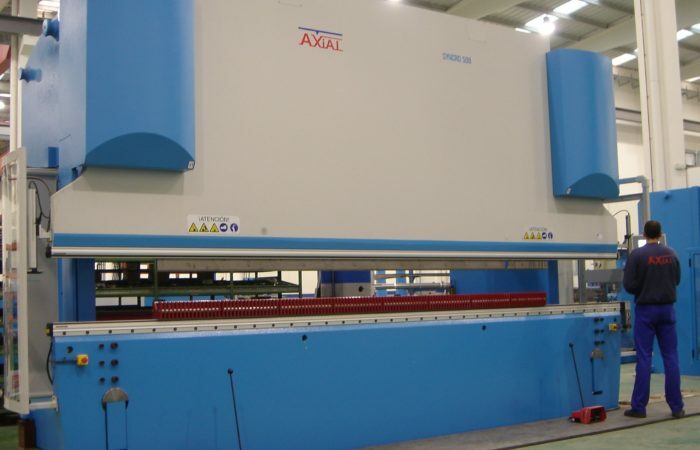 Axial Maquinaria is a specialist in the manufacture of high-tech CNC press brakes and shears. 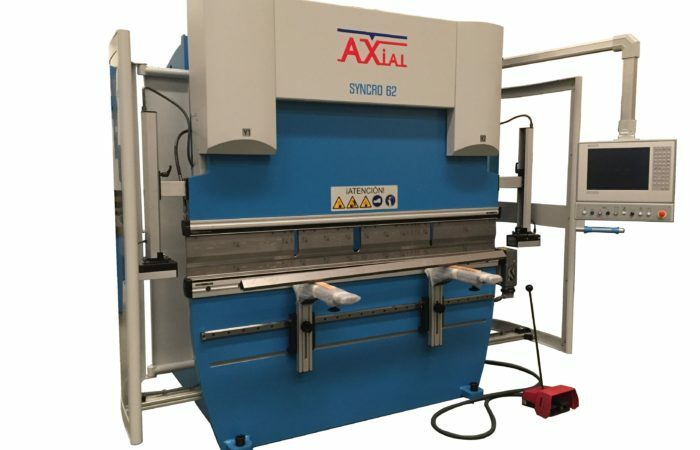 Founded in 1994, Axial Maquinaria is a manufacturer of press brakes and shears for sheet metal work. 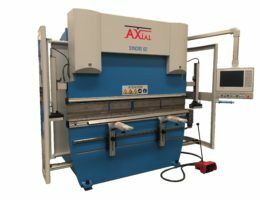 With custom-built facilities in the town of Abrera (Barcelona), Axial has all the technological and human resources needed to carry out the process from the design to manufacturing. Axial offers high performance, reliability and quality. 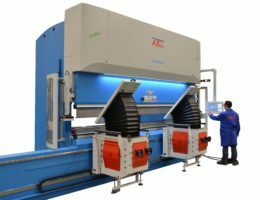 Axial, with long experience and constant labour of research and development, applies to its machines the latest technological advancements to obtain a first-line product. 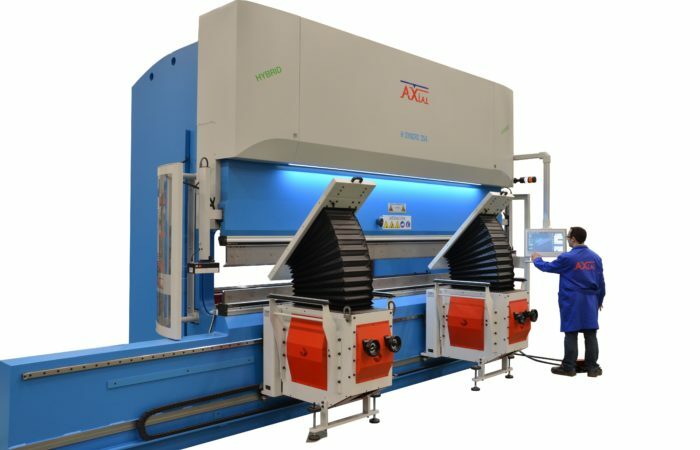 SYNCRO-series machines are a line of high-productivity hydraulic press brakes. Versatile and easy to use in both 2D and 3D software versions, SYNCRO can manufacture a wide variety of parts with high precision and repeatability. 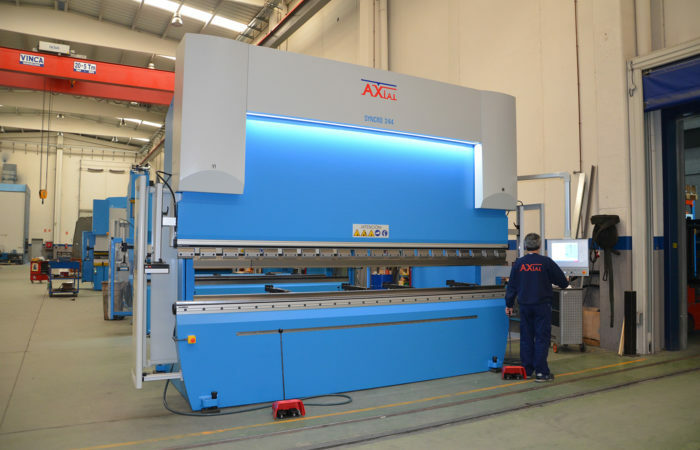 Machines range from 40 to 500 tons of bending force and from 1 to 7 m of bending length. 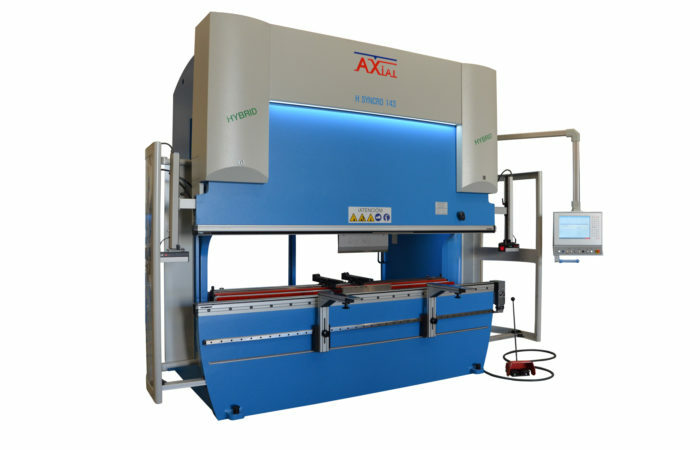 The Axial line of HSYNCRO machines are hybrid press brakes. 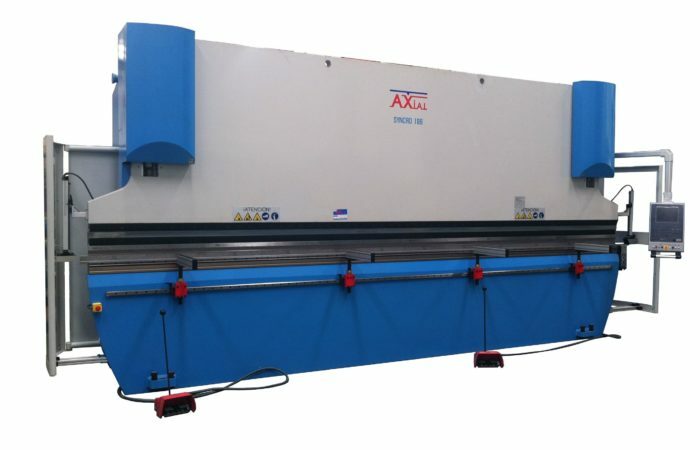 They feature reduced energy usage, oil capacity and lower noise compared to an equivalent hydraulic machine, as well as higher precision and speed. They also include integral 3D bending software to maximize the ease of manufacturing new products.